Omaha drivers know the best way to get work done is with a heavy-duty truck, and there are few as capable as the Chevy Silverado 2500HD. Choose the 6.0L V8 engine for up to 360-hp and 380 b.-ft. of torque, or upgrade to the 6.6L turbodiesel powerplant and take advantage of class-leading 445-hp and 910 lb.-ft. of torque. Explore our Silverado 2500HD inventory, then contact Gregg Young Chevrolet of Plattsmouth to schedule a Bellevue area test drive today! Built Like a Rock describes our 2019 Chevrolet Silverado 2500 LT Diesel Crew Cab 4X4 that's proudly presented in Deep Ocean Blue Metallic! Powered by a TurboCharged 6.6 Liter DuraMax Diesel V8 that offers 445hp while connected to an Allison 6 Speed Automatic transmission for easy passing or towing tasks. This Four Wheel Drive combination yields large payload and towing capacity, and with our advanced trailering technologies, you'll appreciate exceptional control and capability on every road. With an aggressive stance and distinctive grille, our LT is eager to exceed your expectations. With our LT, enjoy the usefulness of heated power-adjustable mirrors, deep tinted glass, an EZ lift and lower tailgate, a remote locking tailgate and remote keyless entry. Heated seats, remote starter, full power accessories, a driver information display and a leather-wrapped steering wheel are a few features that add to the comfort of each ride. Stay informed and connected to the wheel with the MyLink touchscreen, available satellite/HD radio, Bluetooth, Android Auto/Apple CarPlay, steering wheel audio controls, and even Onstar with available WiFi! Conquer each day with confidence knowing Chevrolet offers a high-strength, fully boxed steel frame, advanced airbags, an air pressure monitoring system, a rear camera, daytime running lamps, and Stabilitrak. You need a truck that takes your day as seriously as you, so reward yourself with this LT today! Print this page and call us Now... We Know You Will Enjoy Your Test Drive Towards Ownership! We offer PRE-APPROVAL programs so call (515) 256-4010 to get started today! At Gregg Young Chevrolet... We'll Go The Extra Mile For You. We have an app for that! Download the Gregg Young Chevrolet application directly to your iPhone or Android. Take 11% off MSRP on select vehicles with GM Financing. Must have a '05 or newer non-GM vehicle in the household to qualify. Some restrictions apply. See dealer for details. Not compatible with 0% financing. Built Like a Rock describes our 2019 Chevrolet Silverado 2500 LT Diesel Crew Cab 4X4 with Gooseneck/5th Wheel Prep Package that's proudly presented in Silver Ice Metallic! Powered by a TurboCharged 6.6 Liter DuraMax Diesel V8 that offers 445hp while connected to an Allison 6 Speed Automatic transmission for easy passing or towing tasks. This Four Wheel Drive combination yields large payload and towing capacity, and with our advanced trailering technologies, you'll appreciate exceptional control and capability on every road. With an aggressive stance, spray in bed liner, and distinctive grille, our LT is eager to exceed your expectations. With our LT, enjoy the usefulness of heated power-adjustable mirrors, deep tinted glass, an EZ lift and lower tailgate, a remote locking tailgate and remote keyless entry. Supportive seating, full power accessories, heated seats, a remote starter, a driver information display and a leather-wrapped steering wheel are a few features that add to the comfort of each ride. Stay informed and connected to the wheel with the MyLink touchscreen, available satellite/HD radio, Bluetooth, Android Auto/Apple CarPlay, steering wheel audio controls, and even Onstar with available WiFi! Conquer each day with confidence knowing Chevrolet offers a high-strength, fully boxed steel frame, advanced airbags, an air pressure monitoring system, daytime running lamps, and Stabilitrak. You need a truck that takes your day as seriously as you, so reward yourself with this LT today! Print this page and call us Now... We Know You Will Enjoy Your Test Drive Towards Ownership! We offer PRE-APPROVAL programs so call (515) 256-4010 to get started today! At Gregg Young Chevrolet... We'll Go The Extra Mile For You. We have an app for that! Download the Gregg Young Chevrolet application directly to your iPhone or Android. Take 11% off MSRP on select vehicles with GM Financing. Must have a '05 or newer non-GM vehicle in the household to qualify. Some restrictions apply. See dealer for details. Not compatible with 0% financing. Built Like a Rock describes our 2019 Chevrolet Silverado 2500 LT Diesel Crew Cab 4X4 that's proudly presented in Black! Powered by a TurboCharged 6.6 Liter DuraMax Diesel V8 that offers 445hp while connected to an Allison 6 Speed Automatic transmission for easy passing or towing tasks. This Four Wheel Drive combination yields large payload and towing capacity, and with our advanced trailering technologies, you'll appreciate exceptional control and capability on every road. With an aggressive stance and distinctive grille, our LT is eager to exceed your expectations. With our LT, enjoy the usefulness of heated power-adjustable mirrors, deep tinted glass, an EZ lift and lower tailgate, a remote locking tailgate and remote keyless entry. Supportive seating, full power accessories, heated seats, remote starter, a driver information display and a leather-wrapped steering wheel are a few features that add to the comfort of each ride. Stay informed and connected to the wheel with the MyLink touchscreen, available satellite/HD radio, Bluetooth, Android Auto/Apple CarPlay, steering wheel audio controls, and even Onstar with available WiFi! Conquer each day with confidence knowing Chevrolet offers a high-strength, fully boxed steel frame, advanced airbags, an air pressure monitoring system, daytime running lamps, and Stabilitrak. You need a truck that takes your day as seriously as you, so reward yourself with this LT today! Print this page and call us Now... We Know You Will Enjoy Your Test Drive Towards Ownership! We offer PRE-APPROVAL programs so call (402) 572-8080 to get started today! At Gregg Young Chevrolet... We'll Go The Extra Mile For You. We have an app for that! Download the Gregg Young Chevrolet application directly to your iPhone or Android. Take 11% off MSRP on select vehicles with GM Financing. Must have a '05 or newer non-GM vehicle in the household to qualify. Some restrictions apply. See dealer for details. Not compatible with 0% financing. Built Like a Rock describes our 2019 Chevrolet Silverado 2500 LT Diesel Crew Cab 4X4 that's proudly presented in Black! Powered by a TurboCharged 6.6 Liter DuraMax Diesel V8 that offers 445hp while connected to an Allison 6 Speed Automatic transmission for easy passing or towing tasks. This Four Wheel Drive combination yields large payload and towing capacity, and with our advanced trailering technologies, you'll appreciate exceptional control and capability on every road. With an aggressive stance, spray in bed liner, and distinctive grille, our LT is eager to exceed your expectations. With our LT, enjoy the usefulness of heated power-adjustable mirrors, deep tinted glass, an EZ lift and lower tailgate, a remote locking tailgate and remote keyless entry. Supportive seating, full power accessories, remote starter, heated seats, a driver information display and a leather-wrapped steering wheel are a few features that add to the comfort of each ride. Stay informed and connected to the wheel with the MyLink touchscreen, available satellite/HD radio, Bluetooth, Android Auto/Apple CarPlay, steering wheel audio controls, and even Onstar with available WiFi! Conquer each day with confidence knowing Chevrolet offers a high-strength, fully boxed steel frame, advanced airbags, an air pressure monitoring system, daytime running lamps, and Stabilitrak. You need a truck that takes your day as seriously as you, so reward yourself with this LT today! Print this page and call us Now... We Know You Will Enjoy Your Test Drive Towards Ownership! We offer PRE-APPROVAL programs so call (402) 572-8080 to get started today! At Gregg Young Chevrolet... We'll Go The Extra Mile For You. We have an app for that! Download the Gregg Young Chevrolet application directly to your iPhone or Android. Take 11% off MSRP on select vehicles with GM Financing. Must have a '05 or newer non-GM vehicle in the household to qualify. Some restrictions apply. See dealer for details. Not compatible with 0% financing. Our great looking 2019 Chevrolet Silverado 2500 LTZ Diesel Crew Cab 4X4 shown off in an eye-catching Summit White! Powered by a TurboCharged 6.6 Liter DuraMax Diesel V8 that offers 445hp while paired with an Allison 6 Speed Heavy Duty Automatic transmission for amazing towing ability. This Four Wheel Drive combination delivers an enormous payload and towing capacity, and with our advanced trailering technologies you'll appreciate exceptional control and capability on every road. Our handsome Silverado LTZ delivers on its promises and is ready to rock with an aggressive stance and great-looking chrome accents. Enjoy the heated power-adjustable mirrors, deep tinted glass, an EZ lift and lower tailgate, a remote locking tailgate and remote vehicle start. Open the door to out LTZ to find everything correctly in its place with heated leather seats, power accessories, a heated leather-wrapped steering wheel with audio controls, and a driver information center. Staying connected is easy thanks to Chevrolet MyLink Radio with a color touchscreen, AM/FM/CD/MP3, available satellite radio, Bluetooth, voice-activated technology, Apple CarPlay, and even OnStar with available WiFi! Conquer each day knowing Chevrolet supplies a high-strength fully boxed steel frame, advanced airbags, an air pressure monitoring system, and Stabilitrak. You need a truck that takes your day as seriously as you do! Print this page and call us Now... We Know You Will Enjoy Your Test Drive Towards Ownership! We offer PRE-APPROVAL programs so call (402) 572-8080 to get started today! At Gregg Young Chevrolet... We'll Go The Extra Mile For You. We have an app for that! Download the Gregg Young Chevrolet application directly to your iPhone or Android. Take 11% off MSRP on select vehicles with GM Financing. Must have a '05 or newer non-GM vehicle in the household to qualify. Some restrictions apply. See dealer for details. Not compatible with 0% financing. 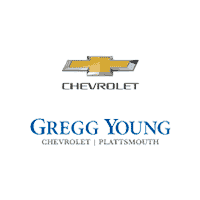 From start to finish, and at every point in between, we here at Gregg Young are here to help you find the Chevy truck that best suits your needs in Council Bluffs. If you’d like more information about the Chevy Silverado, or have any questions, please give us a call at (402) 296-3210.